Your first few days with braces will feel rather odd, awkward, and even painful. The day you get your braces you will probably just feel weird, like you have something in your mouth – because you do. You are most likely to feel pain and soreness during the second and third days. After that, you should be fine. If you experience any pain with your braces, there are a few things you can do to get some relief. Rinsing your mouth with warm salt water will soothe it and promote healing. Rinse several times a day or when your mouth, particularly mouth sores, are hurting. You can also take some Tylenol every four hours. Dr. James Lupi and our team advise against products that contain ibuprofen because it slows down the movement of your teeth. You can also eat cold foods like ice cream or yogurt. The cold of the food will help dull the pain. Ice packs applied to your mouth help as well. You can also swish ice water around your mouth, but DO NOT eat ice! 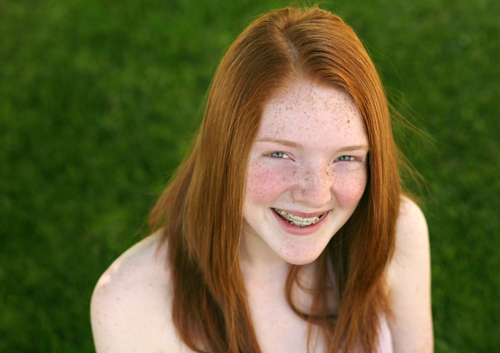 Products for canker sores can be applied to the mouth sores you develop from your braces. There are also various rinses you can use that act as a shield or barrier in your mouth, and protect your mouth sores from further irritation. Dr. James Lupi and our team may have given you some dental wax to put on the abrasive areas of your braces to protect your mouth. Putting dental wax on the brackets creates a barrier that keeps your mouth from getting scraped and sore. Bite wafers are another great pain relief too. When you bite down on the wafer, it increases circulation in your gums, which can ease the pain a bit. Just a little pressure will work; you don’t want to bite too hard. And they usually come in cool colors, too! The pain won’t last forever. One day you will wake up and you won’t have any pain. In fact, you probably won’t even notice the braces in your mouth at all!